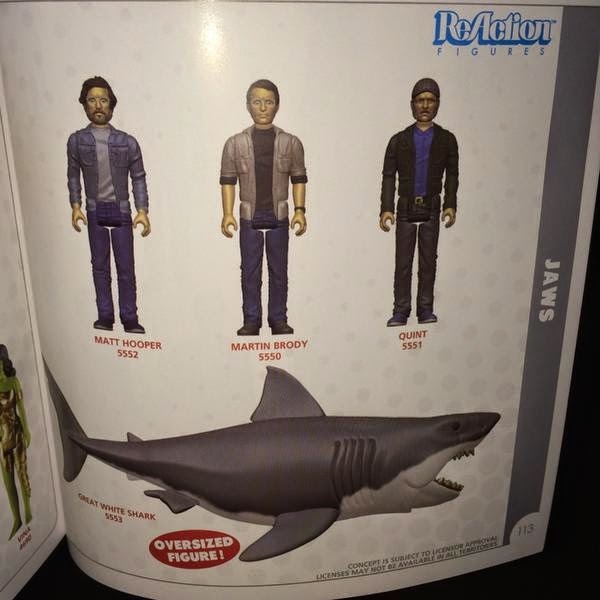 ReAction Figures, in conjunction with Funko, will be releasing a set of action figures from the legendary Steven Spielberg film Jaws! Who doesn't want to recreate classic scenes with Chief Brody, Matt Hooper, Quint - and the infamous Great White terror - all while singing their favorite sea shanty? The figures are currently up for pre-order on EntertainmentEarth.com (they ship internationally!) and are scheduled for release this July.